There are literally hundreds of free bitcoin faucet websites out there, all offering you the chance for a quick cryptocurrency reward in return for a reCAPTCHA click. It can be tedious work for little return but for many it’s a chance to get on board the cryptocurrency ship without having to shell out any cash up front. So, it’s important that you make the most of your faucet time and maximise the returns from each website you visit. 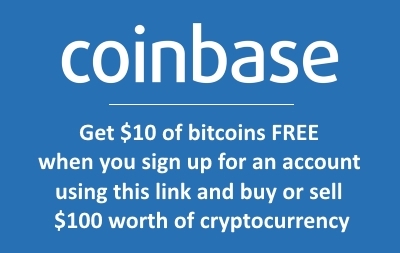 A very popular site for earning free bitcoins online is Bonus Bitcoin. It’s primarily a faucet website, but also offers many other ways to get coins, such as completing surveys and offers. It’s catchline of ‘You can earn up to 5,000 Satoshi every 15 minutes’ may need an update as it’s nothing close to this at present given the price of bitcoin, but it’s the ‘current average’ figure below that’s important for the purpose of this article. By default, the faucet is set to pay out a random amount up to the current average. Say this figure is 44 Satoshi, you can get anything between 1 and this number each time you claim. However, there’s a little-know setting that if selected will ensure you get the maximum amount each time you claim your free bitcoins. All you need to do is click ‘claim from faucet’ on the main page then scroll down until you find a link sitting beneath the ‘claim now’ button titled ‘Change your claim settings’. Click this and a claim settings pop-up menu will appear. Under the second heading down – claim amount – you’ll see a tick box next to the words ‘Always receive the average claim amount’. Tick this and close the menu box. From now on, every time you claim you’ll get the current average amount, which using the example above will be 44 Satoshi. From our experience, if you don’t check this option you tend to get about half the pay out that you otherwise would. It’s a simple trick that a lot of people seem to be unaware of but one that will mean the value of your claims are effectively doubled each time. Bonus Bitcoin pays into the CoinPot free microwallet along with a series of high paying faucets, namely Moon Bitcoin, Moon Bitcoin Cash, Bit Fun, Moon Litecoin, Moon Dash and Moon Doge. As a side note it’s worth pointing out that you should persevere with Bonus Bitcoin as the hosting can be temperamental, with the occasional ‘unexpected error’ message when you try to claim. It always sorts itself out though, so don’t give up if you come across this. Wait a couple of hours and you should be back to claiming as normal. We hope this is a useful tip. If you’ve found any others that you think we should feature, then please get in touch.